Old map by D'ANVILLE - Carte Generale de la Chine Dressée sur les Cartes Particulieres Que l' Empereur Chang-Hi a fait lever sur les lieux. . . . 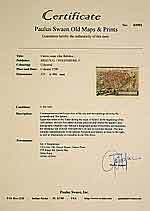 Title: Carte Generale de la Chine Dressée sur les Cartes Particulieres Que l' Empereur Chang-Hi a fait lever sur les lieux. . . . Size: 18.7 x 27.6 inches. Condition: Paper very slightly age toned and spotted, mainly in the margins. Good and dark impression. With a quite elaborately pictorial cartouche, engraved by the master engraver Guillaume-Nicolas de la Haye (1727 -1802). Large map showing the traditional limits of China, including Hainan and Formosa in the South, and Quantong and parts of the Gobi Desert in the north, prepared by Jean Baptiste Bourguignon d' Anville (1697-1782). This is the rare edition published and newly engraved plate by Dezauche and published in his "Atlas géographique des quatre parties du monde". 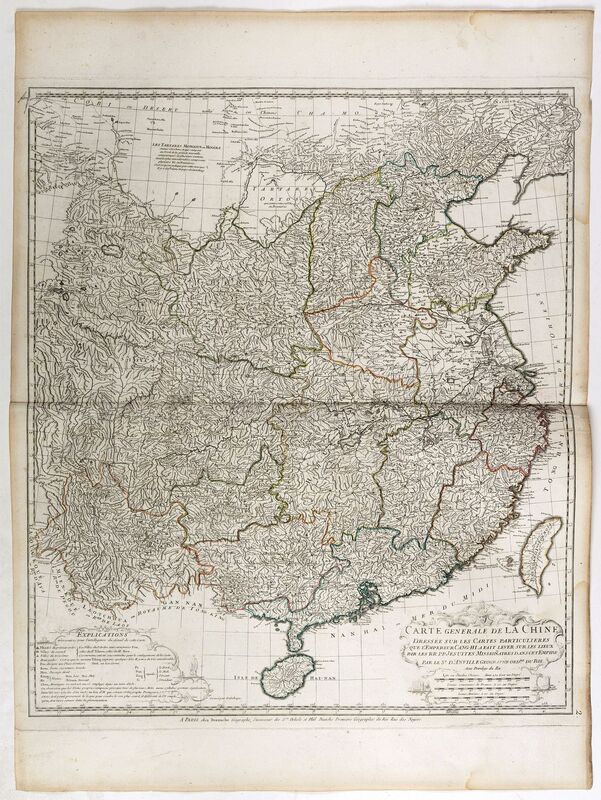 As the title notes, the map draws from surveys undertaken in the period 1708-1716 by Jesuit missionaries on the instructions of the Emperor Kangxi. A copy of these surveys were sent back to Paris and the Royal cartographer D‘ Anville was commissioned to drawn this map, which was the first really reasonably accurate picture of that remote land.